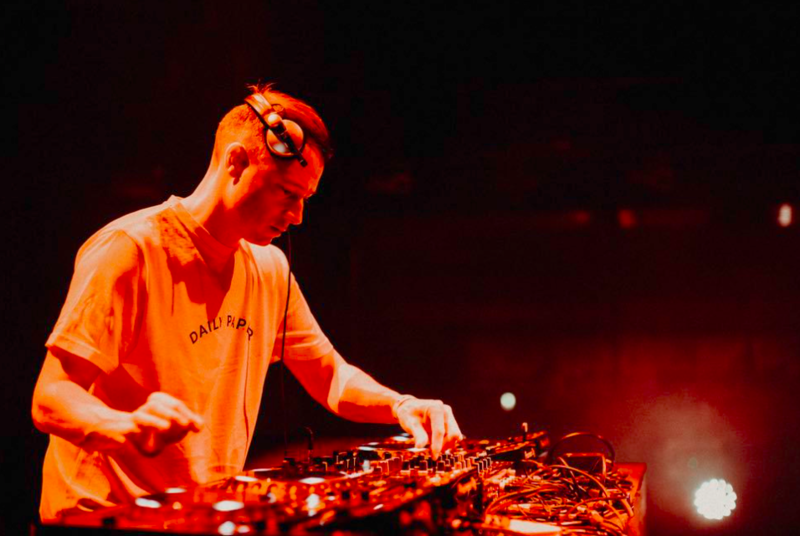 Despite ‘Connections’ being his debut album, Friction is definitely no novice when it comes to the drum & bass scene. Since the release of his first single in 1998 he has become one of the most revered artists across electronic music, where his achievements include winning numerous accolades, founding his own label ‘Shogun Audio’ in 2004, and presenting Radio 1’s award-winning Drum & Bass show for six years. For such a full and successful resume, it’s surprising that it took twenty years for Friction to launch his first album- an album that has been four years in the making, with the occasional single being dropped early in anticipation of its release. I had the privilege of attending the eagerly-awaited launch of ‘Connections’ in Bethnal Green’s The Pickle Factory, a venue originally used to manufacture pickles and chutneys. After being opened by the team behind Oval Space in late 2015, the factory now hosts some of the biggest names in drum & bass; last year I saw the chart topping Wilkinson play as a surprise headliner for Skankandbass’ promotional event, and in 2018 alone Hybrid Minds have played there twice. 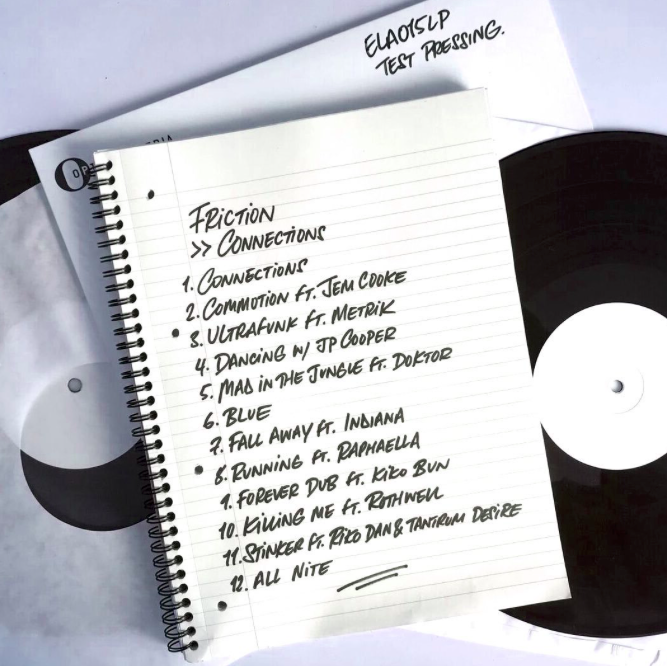 It’s not hard to see why Friction chose ‘The Pickle Factory’ to launch his album. Despite it being a fairly small venue, the room manages to fill to full capacity without feeling overcrowded. Rather, its low ceilings and small capacity give the venue a feeling of intimacy and exclusivity- perfect for an event as exclusive as Friction’s launch. Friction’s set was preceded first by Technimatic, who eased us into the night with some liquid drum & bass to warm us up for the acts to follow. Following them was Turno collaborating with Benny L to pick up the pace of the evening with some heavier tunes, hyping the crowd up for Friction’s debut. The effortless flow from Technimatic’s smooth liquid sounds to Turno and Benny L’s fast paced jump-up was reflective of Friction’s set as a whole; he seamlessly transitioned between different sub-genres of drum & bass which really encapsulated his versatility and talent. Not only did he play his own original singles but he incorporated a few dance classics into his set, from the crowd-pleaser ‘No Problem’ by Chase & Status to his own remix of Fatboy Slim’s ‘Right here right now’. He even threw in a few remixes of singles from 2018; I almost couldn’t believe my ears when I heard him play CamelPhat’s ‘Panic Room’. Honestly, I was so lost in the music that it could have been easy to forget that I was there to review the set rather than to simply enjoy myself. It bounced between traditional drum & bass, to hints of darker neurofunk, to the smoothness of jungle and then to the choppy beats of jump-up to ease into closing act A.M.C. It catered to all drum & bass tastes and this versatility is reflective of ‘Connections’ itself. Each track has its own distinct style; the opening titular track almost embodies the anticipation surrounding the album’s release, as the whole track is just one impactful build up for rest to follow. The album then takes us on a journey through a variety of drum & bass and its influences; the fast paced electricity of tracks like ‘Ultrafunk’ and ‘Killing Me’ is smoothed out by reggae infused ‘Mad in the Jungle’ and ‘Forever Dub’, and the liquidity found in ‘Blue’ and ‘Fall Away’ really demonstrates Friction’s flexibility. “could be proud of”, which “represented [him] musically”. I can safely say he has done both of these things; it is a class debut album full of incredible tracks, which perfectly represent the talent and versatility he has accrued after twenty years of performing. I predict a very bright future ahead for Friction. Listen to his new album and I guarantee you will become a fan like myself!